Well, my fellow Losties, they've done it again! 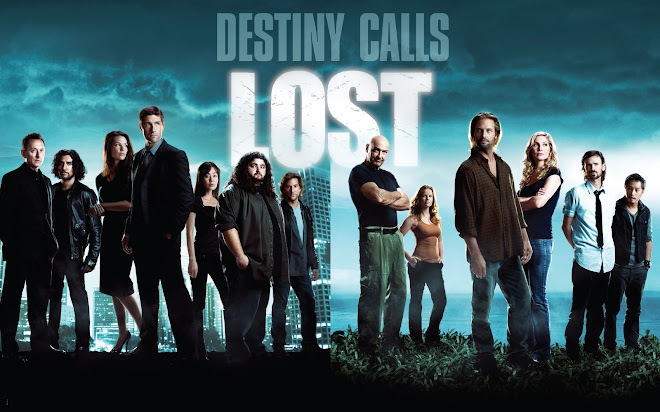 Not sure who is still not on board after a questionable season 3 start, but it is becoming hard to deny that the LOST crew can make some engaging television! And based on this, I give episode 16 "One of Us" another WOW! And based on what I've heard of upcoming episodes, it would seem that the WOW's will keep on coming! Yes, I know, I have blind faith in the producers and can find positives even in the worst episodes. But come on, it's hard to argue that this episode wasn't a good one! It's an episode to help with even the toughest critics. The ones looking for all the answers, all the time. Well, we got some answers last night! And we tied some season 1, 2 and 3 stuff together pretty seamlessly. And most importantly, these answers were about THE OTHERS! Those crazy mysterious people that seem to avoid telling us information about themselves whenever possible! Well, Juliet finally started talking last night and her flashback was quite revealing. Well, let's do what we do best and start diving into the details! The Flashback and the Present day tied together pretty seamlessly, so forgive me if I jump back and forth within the headings below. I'll try my best to make it all make sense. If not, I'll keep you entertained! Key theme last night was simple: Do whatever it takes to get off this crazy island, at all costs. As Jack returns to the camp after his "rescue" he brings Juliet with him with 100% trust in her, causing drama with his fellow survivors. It's tough to forget everything that her people have done to the castaways since arriving to this crazy mysterious baby killing yet miracle healing island! Throughout the episode we follow Juliet's journey to the island and her life there since she arrived. We'll focus on this first! So let's talk about Juliet's dedication to the Mittelos company. Up front, she agrees to give up 6 months of her life and communications with anyone she knows. She agrees to be taken to some remote location somewhere off the coast of Portland, Oregon. And then, after questioning why she needs to take a tranquilizer, a few choice words from Alpert about the place where she is going being "special" and Juliet wanting to "make a difference"...she chugs that juice down like an Irish Car-bomb! What is motivating Juliet? Kinda tough to tell, but she definitely didn't ask many questions. So Juliet is taken to some small airport to transport her to wherever Mittelos is stationed. 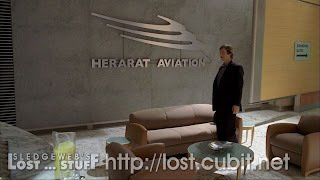 The airport's name is "Herarat Aviation." 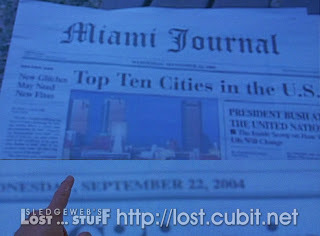 I think we know an Anagram on LOST when we see them now. So what is Herarat? Oh, it's only some mixed up letters for Earhart. Anyone remember the tale of Amelia Earhart and her attempt to fly around the world? Remember where she disappeared? Yep, over the Pacific Ocean! (hmmm...sounds familiar doesn't it?). Here's the thing though, we never see how Juliet actually GOT to the island. Did they fly her somewhere to take the submarine we see her wake up on? Is the submarine even operational or is it just a prop? Remember, Ben says it provides the "illusion" that people can leave the island whenever they please. So, methods of getting to the island still remain a mystery (well, except sailing in race around the world (Desmond), following coordinates with the bearing 4, 8, 15, 16, 23, 42 (Rousseau's crew) , or having a plane split in two above the island due to a huge electromagnet (yeah, not sure if you've been watching the same show I have, but that's our survivors we root for each week!) ). But I'm still intrigued! What was up with Ethan having Juliet strapped in on the sub saying that the last turn was a bumpy one, or something like that? Was it all part of the act? Or was that a clue for a future revelation about the actual process of getting to the island? Stay tuned for the final season when we reveal all! We get a better look at the sub. 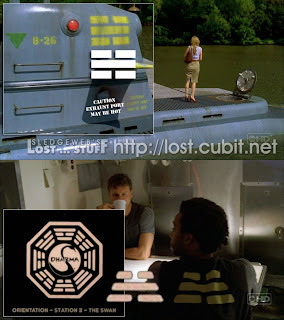 There seems to be a marking on the Sub, which is similar to a marking on one of the crew inside the sub....and if you see the comparisons in the picture below, it kinda resembles part of the DHARMA Logo. 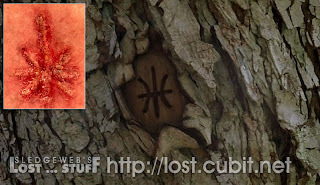 It would seem to suggest that we are meant to tie the sub back to the DHARMA initiative. This would make sense since all other technology on the island seems to have belonged to them. Lots of answers around the Others' love for children and all of the fertility stuff. We had all been running theories that the OTHERS were unable to reproduce. This turns out to be accurate. But further details suggest that women can get pregnant but will die afterwards. Juliet's expertise was getting infertile women pregnant, so she feels her research is useless. Ahh but good ol' Ben. He loves getting what he wants, doesn't he? He seems to have leverage over anyone he manipulates. What does he have on Juliet? Her sister, Rachel. The cancer is back (oh yeah...she had cancer by the way!) and is going to die before her baby is born. Ben makes a deal that he will CURE Rachel's cancer, even going a step further that JACOB will cure the cancer. We get confirmation that Jacob is definitely the man in charge. But about this curing cancer business? We do find out that years later Rachel IS cured of the cancer (if she ever had it), but haven't we learned in past seasons that you need to be on this island to receive these miracles? Rose had cancer, Locke was crippled...both seem to be cured. So there are still questions on how the others can cure cancer, especially when Ben got the tumor and needed a surgeon. There is also the question to if Rachel ever had cancer, and if she did and was in fact cured......then maybe the live footage we see of her (we'll get to that in a second) was ON the island? Would be tough especially with that current day's newspaper in hand. Possible prop error though with the Report Ben shows Juliet. It's supposed to imply Rachel has cancer, but the report is for a Male with Heart Failure. Did I mention that Juliet and Goodwyn were lovers? (So much for the Ben and Juliet rumor!) We jump ahead a couple years in the flashback and see that Juliet has become content in living on the island. She and Goodwyn have become pretty close. I wonder how she reacted to his death when Ana Lucia killed him? Anyway, Juliet's happiness quickly goes away when she gets Ben's X-Rays showing the tumor. This sets up the big fight between Juliet and Ben. We knew they were on the outs from the first 5 minutes of this season with Ben being "out of the book club" but we see him reading Stephen King's "Carrie" and getting ready for the discussion. It would seem Ben's refusal to let Juliet go home is why we see her on the verge of a breakdown in that opening scene of this season. I'm still confused about this whole Ben/tumor thing, but I know we're meant to be! It makes me think that he is just manipulating Juliet and Rachel never really did have cancer. 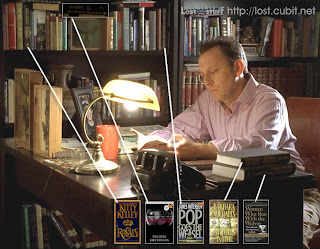 I'm usually not into all of the literary references on LOST, but here's a bunch of books that were on Ben's bookshelf. Feel free to research these and get back to me on the meaning behind them all! Okay, so the LIVE footage at the Flame Hatch. We see newscasts from around the globe, the day of the crash, that the world is looking for Flight 815 which seems to have "Disappeared Over the Pacific Ocean." We now know that the world is aware of the plane crash. We all assumed it, but it's nice to have confirmation! We also have confirmation on how the Others are getting their information. We see how Ben got the Red Sox footage. And we may just see how they're getting all of their information on the survivors. Ben ordered information on all of the survivors. Mikail confirms that he's already working on it. Is he communicating with Alpert on the mainland and having him do the research? We hear Ben talking to him over a headset. And what about the LIVE footage of Rachel in Miami? We see the current day's newspaper. Then we see Rachel and her child Julian, healthy and happy. Why on earth would they just happen to have a camera in Miami filming Rachel at a playground LIVE? In a previous episode, Juliet tells Jack that his ex-wife Sarah is HAPPY. Did they have a camera following HER around too? And Juliet's knowledge of Sayid and Sawyer's past is just creepy, but we'll get to that in the next section. So, we got PART of the answer to how the others are getting their information. The footage of Rachel allows Ben to continue having the upper hand on Juliet and that he still is her main ticket home. We'll save the final flashback scene and the Ethan information for the next section! Jack Returns to Camp with an"OTHER"
So finally we reunite the castaways! No one trusts Juliet except Jack and there is a crisis to resolve almost immediately upon returning. Funny how no one gets sick until Jack is around isn't it? But it turns out the timing was incredibly intentional! Claire has fallen ill! Immediate thoughts are to all of the discussion about people getting "sick" on the island. Juliet immediately gets involved because she knows what is wrong with Claire. Let's dive in! First, we got another one of the classic LOST reunion scenes with everyone hugging. How about the awkward Jack and Sawyer moment? That was some crazy stuff. And of course Kate and Sawyer have their wordless exchange pretty much saying all is well between them. Sawyer had another classic "non" nickname...3 Men and a Baby counting "Hugo" twice! Good stuff! Jack tries to earn everyone's trust in Juliet but ends up having to explain his OWN actions. Why is he trusting the others? Why was he going to ditch them and get off the island? He says it was all in an attempt to get them rescued. I'll believe Jack on this one. He is the Hero isn't he? But come on...they gotta stop making this guy sound like an idiot or even be easily fooled by people! We want to root for Jack! Not be annoyed at him! Live Together Die Alone! Juliet explains her case to how she knows Claire is sick. She claims that that she was giving Claire medicine to keep her alive (due to the island pregnancy issue). She suggests that Claire was the CONTROL to their experiments. I'm sure she is probably telling the truth here, but how can a woman that is 8 months pregnant when they crash on the island, compared to someone who JUST got pregnant ON the island show be a comparable scenario? So they are befuddled to how Clarie was still able to give birth. Was it this magical serum that Juliet was giving her? Juliet also explains that Ethan, being a doctor, was only looking out for Claire's well-being but reacted on his own instincts once Hurley discovered he was not on the plane. It was never their intentions to abduct claire or HANG charlie or to kill the survivors one by one until they gave Ethan Claire back. We can confirm that Juliet is telling the truth based on the "Maternity Leave" episode last season (just happened to watch this one last night). We see TOM talking to Ethan in the Claire flashback saying that "HE" is not going to be happy with Ethan's actions. Of course, we do know that they were preparing that nursery for Aaron, so the kidnapping of Claire's baby was ALWAYS the intention. Keep in mind people that SUN is also pregnant, so expect this story to play into future episodes! Is she the next on the list to die? Let's hope Jin learns more English first! So while we're talking about pregnancies and stuff, let's update our theory on the OTHERS fascination of children and reproduction. Ben seems to have a desire to create and sustain a society on this island where people WANT to live there. 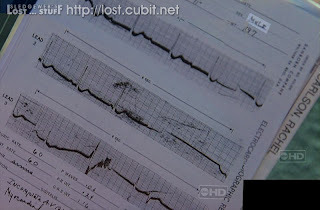 We have seen tidbits of people being cured of disease or paralysis. Yet now we see that reproduction is near impossible on this island. A theory being bounced around now is that perhaps the others have been trying to create a society where people are never sick and possibly live longer lives (if not live forever), but the one thing going against this plan is their inability to reproduce. Crazy concept. Probably a lot of holes in it, but it's something to keep in mind! Okay, so Juliet knows where there is a stash of this medication that can save Claire, claiming that Ethan kept a stash near the caves where they used to love. Jack allows her to retrieve it and we see a marked tree. Symbol looks similar to Juliet's new marking on her doesn't it? Not exactly the same though. Anyway, Sawyer and Sayid follow Juliet and are looking for answers. As Juliet stated "you'd kill me if you knew what I know." Intriguing stuff. But the real meat to this scene is when Juliet starts talking about things she couldn't possibly know. Like Sawyer shooting the man in Sydney that he thought was the real Sawyer. And Sayid torturing Bazthra? (not sure if we even know about this yet). There is no way that they can OBTAIN this information from the flame hatch. These are personal things that only Sawyer and Sayid should know. How are they getting this information? We know the smoke monster can grab images from people's minds (as it did with EKO), but I've never seen this monster in contact with either Sayid or Sawyer. Well, there always has to be more questions with every answered one, right? This one was crazy! "Juliet: Drag Austin (Kate) into the jungle, handcuff myself to her then tell her i was gassed just like she was. Ben: If she catches you in lie? Juliet: Admit to it...tell her it was the only way to earn her trust. Then They'll take me back to beach. Ben: We've activated implant in Claire. She should be symptomatic within 48 hours." Ben gives Juliet the Gas Mask and then says "See you in a week." Ahhhh chilling stuff! Why does Ben want Juliet to infiltrate the camp? Is it for Sun? For Revenge? What is going to happen in a week? One thing is for sure, we can confirm that Juliet followed Ben's directions TO THE TEE. That doesn't mean she'll support him TO THE END. Like I said, her motivation has been proven to be what is best for her AT THE TIME. She did kill Pickett afterall, remember? 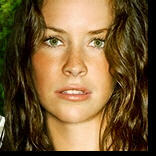 But for now, it'll be interesting to see what she does as a PLANT in the castaway camp! Man, there was a lot to cover there. Hope I didn't bore you! Great episode and the previews for the final 6 weeks look equally awesome! I'm doing pretty well keeping up my promise of NOT getting these blogs to you Thursday mornings. But again, I will still maintain that this can change on any given week! Please share your thoughts on this episode. I'm sure there are tons of theories out there, and I can only remember so much! (it would seem from the length of this thing I remembered a lot! But still!) But in closing, I will say that I think Ben stole my line that closes each and every blog. But I'll use his version to close this one. "See you in a week!" I find myself frustrated with the direction that the show has taken Jack. His seemingly blind loyalty to/trust of, Juliet is annoying. Yeah, I guess we can have faith that maybe Jack even has a grander plan and is keeping everyone in the dark about it. There is the ol' mantra "Keep your friends close, and your enemies closer" or something like that. Maybe he wants Juliet and Ben to feel like they have manipulated him? But, it's still frustrating watching week after week of this stuff. It could all lead up to a big payoff episode, and that's what we have to hope! And with it confirmed that the 2 hour Season Finale will be a JACK flashback, let's hope the payoff is then! As with any good LOST clue, it could have multiple meanings...or none at all. That of being a good man. Hmmm...good point with Rousseau. Actually thought about that this afternoon. Maybe this all has something to do with LOCKE and his speech to Ben about the use of technology and not embracing the true meaning of the island. Maybe the Others are being punished??? No idea. But I'm sure Rousseau giving birth to Alex will come into play, just as much as Sun being pregnant...and perhaps Kate and Sawyer consumating their relationship. Another thing I forgot to mention....Juliet being hoarse after the sub-ride..kinda reminded me of Locke being unable to talk after the hatch implosion...perhaps Locke was similarly drugged for a day before he woke up in the middle of the jungle? And love the Hurley and Juliet pairing! lol You never know! Nice Noah's ark reference also! Re: the books: none were published after 2000. And none could be considered "literature;" they're pretty trashy. I'm pretty sure I remember Juliet telling Jack about cuffing herself to Kate and pretending to be left behind - then they laughed about it! What was that about? just checked...Jack said "give them a little time. then juliet said "my people kept sayid chained to a swingset for 3 days. Then i handcuffed myself to Kate and lied about it. how much time do you think they need?" Funny...when you said it..i kinda remembered it the same way, but it didn't seem like Jack was in on anything there. Thanks for the info on the trashy novels too! It's funny how I identify with Juliet and Locke, who seem to have different motivations about the island (the former wants to get off and the latter wants to stay), but are both apparently selfish, or at least primarily driven by their own desires. I think I'm pretty self-centered as well, but like Juliet and Locke, we're willing to be the nicest people in the world if it doesn't interfere with our own ambitions. Naturally, I enjoyed the Juliet flashback and I'll ship her with Jack (pointlessly, I know) or anyone else she might get close to. Juliet and Locke are the two of the people with the least motivation to get romantically involved (along with Sayid), but Juliet is the one I most wish could find true love. The Rachel/cancer thing: Rachel went bald with the cancer and had a gaunt look when she was sick, so if she really never had cancer it seems like she would've had to have been in on the ploy with Ben. It doesn't make sense, yet it's the most logical explanation for how she looked and how she "recovered." It seems to me that the organization Ben works for (or lives under, or whatever) has ties to a lot of communications and people around the world. Because I think their network of contacts is broad and well-funded, nothing surprises me when they know stuff that they ordinarily wouldn't know. They've had months to compile these profiles on the survivors, and if it was CIA doing these profiles they would have the same type of comprehensive information. When Juliet says "you'd kill me if you knew what I know," I think she means "you'd kill me if you realized the amount of spying and research that's gone into finding out everything that ever happened in your lives, from the time you didn't toilet train well to the time you shot that guy in a desolate spot in Australia." Plus she may be referring to all the awful, evil plans the Others have to control the survivors and kill anyone who poses a threat to their plans. Juliet may be a plant in the camp, but I'm still believing that Jack is right when he trusted her because of the look in her eyes when the sub blew up. I'm worried for Sun. Jin and Sun haven't had a lot of action lately, but I still root for them. If I could only spoil what's ahead!! But, I won't! You're making very good observations. And I can't remember if I was that perceptive back then or not. I guess I probably did weigh through the options on if Juliet was a plant or not and if her ultimate goal with the survivors was sincere or not. So, I may have gone through the same thoughts that you did. The Rachel cancer thing...I can probably say that Rachel was "not a plant". In fact, I'm not sure they ever revisit that story. So, we just have to assume she was sick and then she was cured. Of course, Ben may have lied about her getting "sick" again. She may have been in remission for a long time and didn't get sick. He is a man that will do anything to get what he wants. And he is quite the liar, which was how we met him in the first place (in an elaborate lie). Interesting observations on Ben and the "organization he works for". I wish I could comment further but I can't! Hi anonymous. I don't want to spoil upcoming plots but everything you mentioned eventually is addressed in the show. There is a reason that there are pregnancy issues on the island after a certain point in time. (I.e. Not when Rousseau gave birth but some time after.). It may be awhile before you know that though. Desmond Charlie and everything surrounding that plays a lot into the rest of the season. Just stopping by to say thanks for this blog. I'm watching this show for the first time and really enjoying it. Great recaps. Thanks Sean! Glad you found the blog and are enjoying. Keep reading, the post recap discussions only get better! That last moment in the episode was so brilliantly done, Elizabeth Mitchell's acting nailed it (she even got a nod for her acting in this particular episode) & eerie track named ''Bon Voyage Traitor'' perfectly blended with the scene. And the knot that she was tiying up was in the shape of 8. Juliet knows exactly what to say to lure Jack's empathy out of him lol, but I wonder if that line was as unconscious as her possibly being moved by Jack's confession of what convinced him she could be trusted. I was really moved by that, it's a beautiful thing for him to notice in the middle of his agony - someone else's too. It's possible that they're both playing each other but I think those specific instances might've been unplanned, and Jack unknowingly could've made her less inclined to betray them (or maybe only spare him) in the future. It's kinda dangerous that Jack makes the distinction here that he's not of one mind with his fellow Losties, which is why I think his words were not manipulative (I'm still really clunky at getting my thoughts through so my point is he's proven himself to be willing to sacrifice himself to spare others, and all he's really accomplished here is the exact opposite which is why I think that scene was totally honest). Wow...totally missed that 5/23/17 comment from LOST FAN last year. 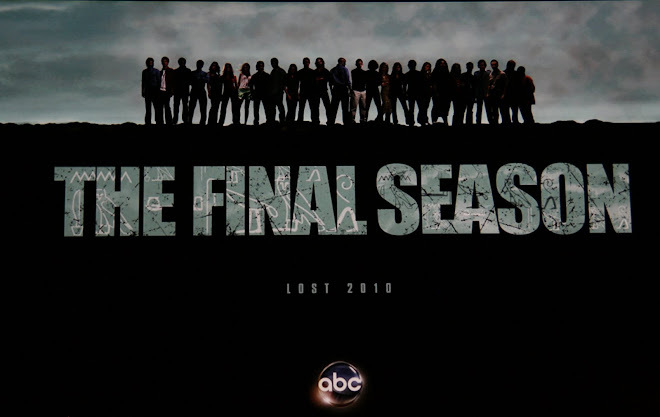 I'm sure it was no coincidence that that was the date of the series finale (just in 2010 lol). I agree about Elizabeth Mitchell's acting in general! That specific moment I'd need to rewatch. But I think I do recall it. It was when she was leaving the recording for Ben and also setting up camp with the LOSTIES...and then she says "I HATE YOU" after stopping the recording. right? Yeah good stuff! LOST: Season 3 Episode 18 - D.O.C.